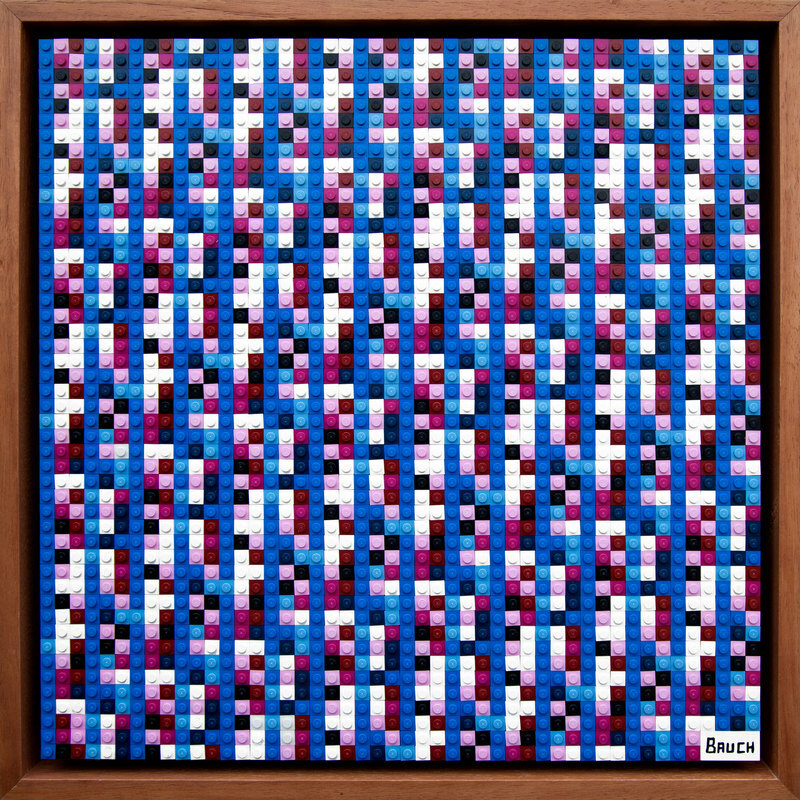 Blending the disciplines of art and technology, Andy Bauch is a fine artist whose recent works range from issues of financial revolution, in the form of bitcoin-embedded artworks, to human obsolescence, through a series of workforce portraits where jobs have been replaced by automation. 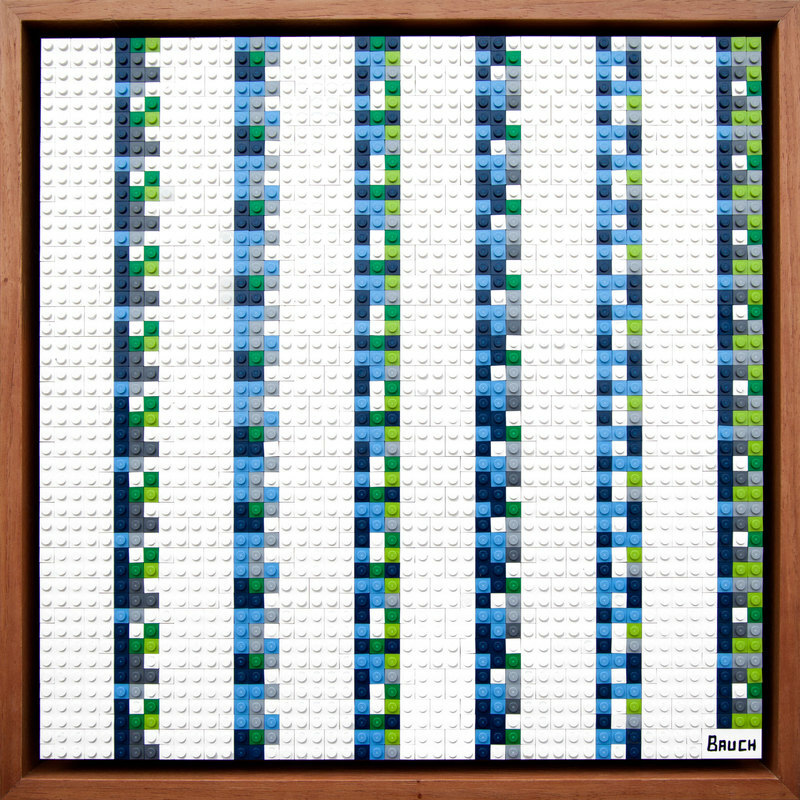 Bauch uses his proprietary computer software to design and assemble artworks, choosing playful and familiar LEGO bricks as the medium by which to create physical compositions with a digitized appearance. 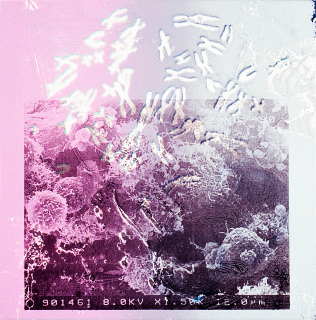 With cryptocurrency values shattering records, Bauch’s BITCOIN series provides poignant commentary on the simultaneous freedom and volatility of rapidly developing digital currencies in an attempt to create highly tangible pieces of art from the abstract, ethereal virtual cash. 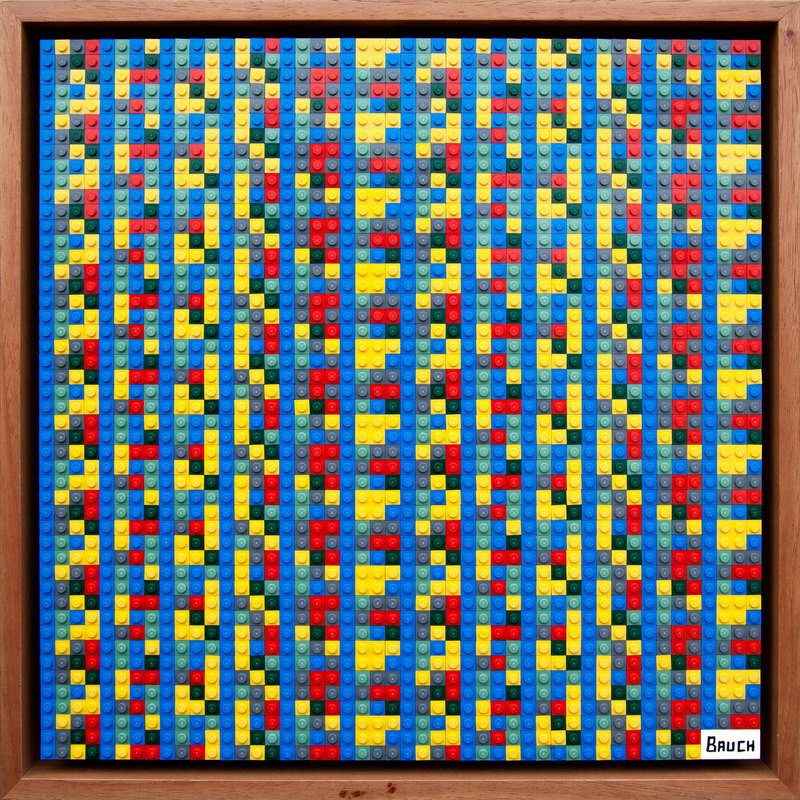 Bauch’s BITCOIN images are visual designs generated to expose the secret keys of bitcoin wallets that initially ranged in value from $20 to $90 and are now are worth well over $5,000 USD. 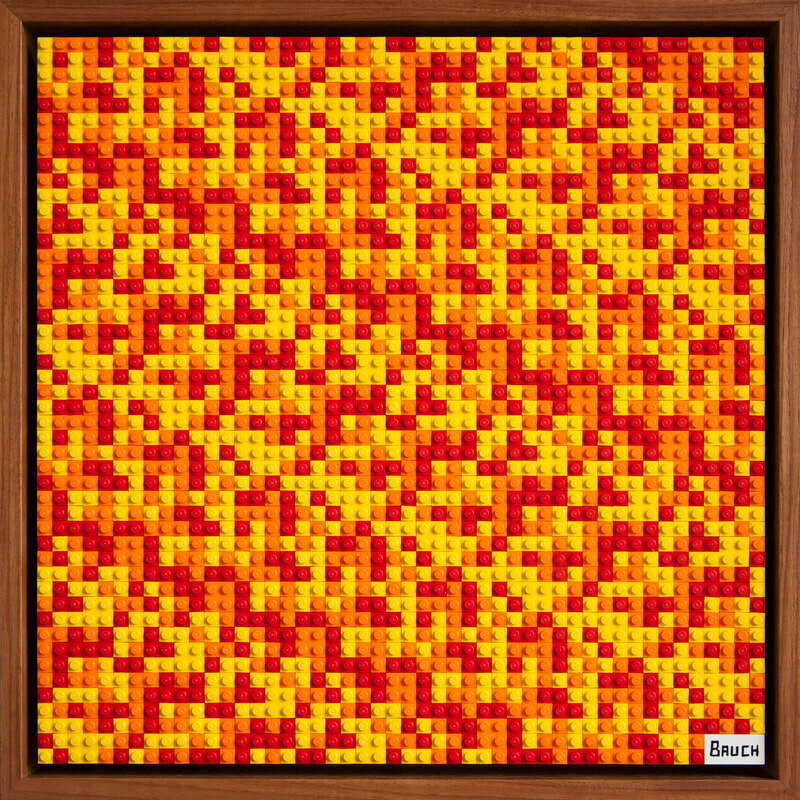 Originally purchased in 2016, the bitcoins embedded in the artworks have increased more than ten times in value and currently range from $279 to $1,258, at the time of this writing. 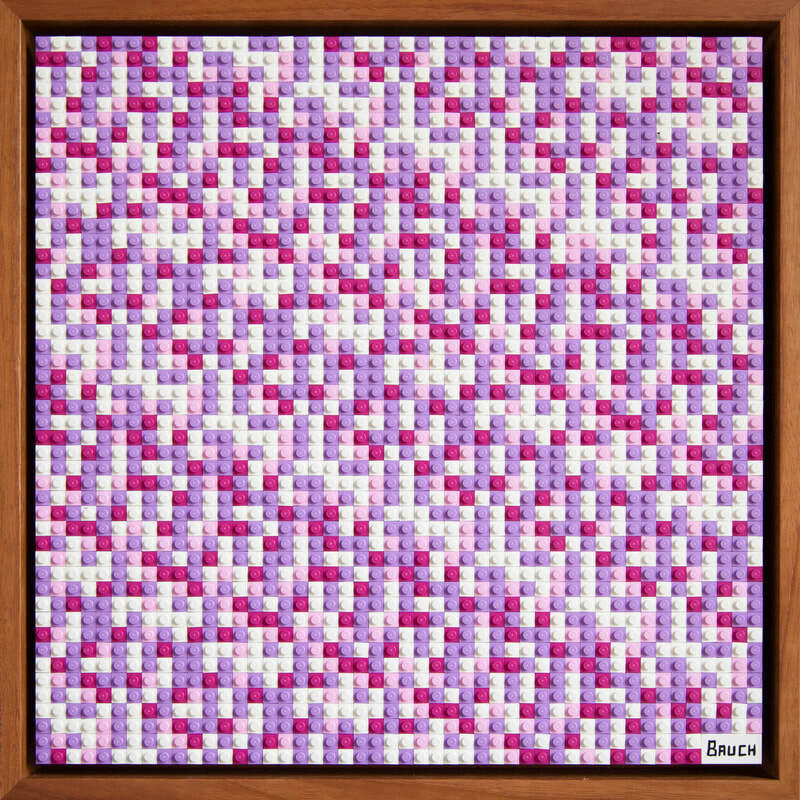 While revolutionary in his approach to visualizing a cryptocurrency and freeing the secret keys behind each work’s unique digital wallet, the works’ intrinsic value is also incredibly fragile. In addition to having fluctuating value, the bitcoins can be stolen. 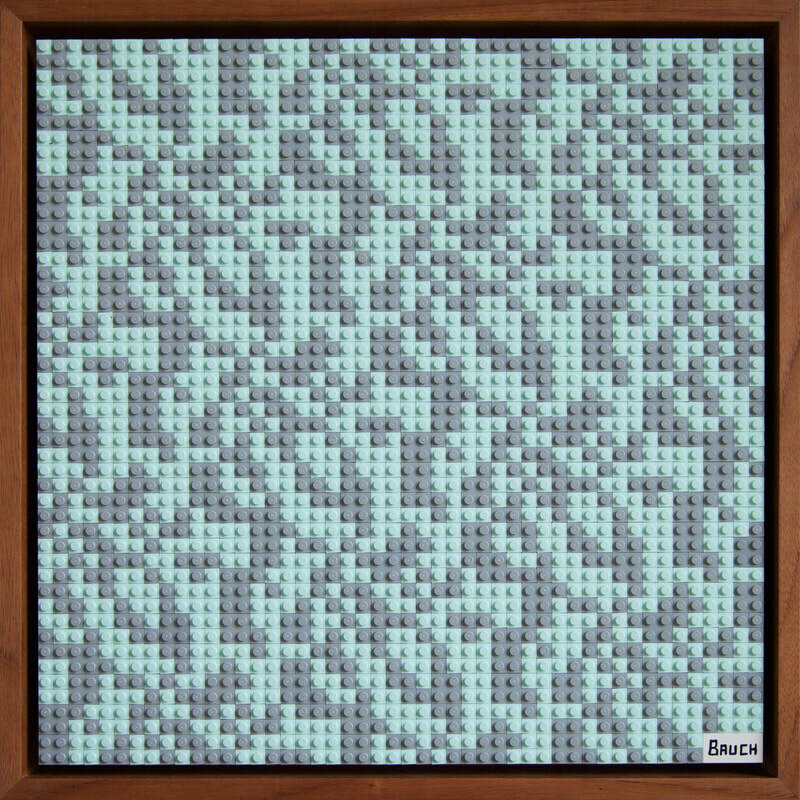 A clever viewer could reverse engineer the patterns and take the $5,000 plus for themselves. for collectors, however, it is simply the nature of this digital currency. 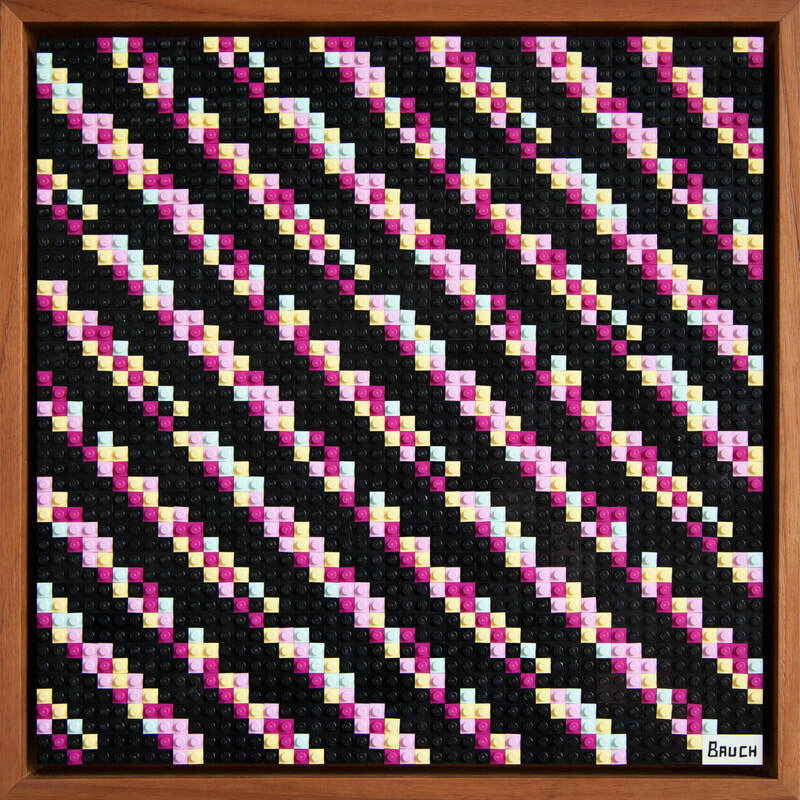 "With these bitcoin pieces," the artist explains, "I am attempting to help those without computer science backgrounds visualize and understand the rather abstract concept of cryptocurrencies and simultaneous democratizing potential and volatility that comes along with them." 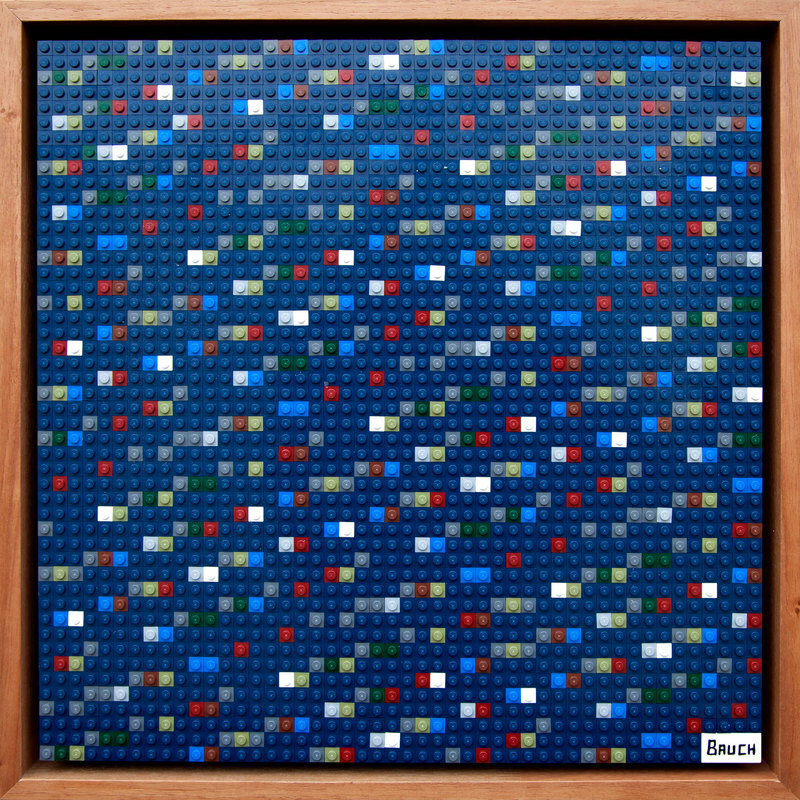 Bauch’s artworks have referred to icons of pop culture and art history. As his artistic style developed and his process became more entrenched in the software applications he specifically created for his medium, Bauch’s subject matter has transitioned to the impact of digital on real life. By using cheerful plastic toys to explore these darker, more complex, subjects he forces viewers to question artistic materiality and consider artwork outside of traditional norms. He is currently living and working in Los Angeles.